This very large quilt was intended for use as a cover for a coffin in funeral ceremonies. 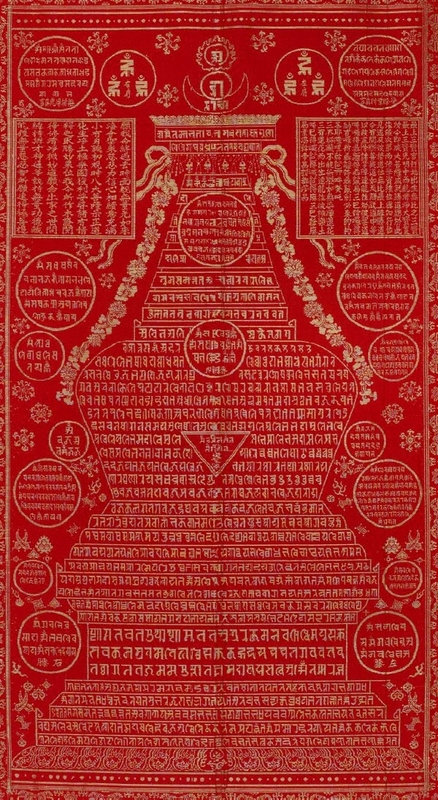 The main design of a Buddhist stupa, an auspicious design in itself, as well as the surrounding square, rectangular and circular cartouches, are inscribed with excerpts from a 'Dharani sutra'. 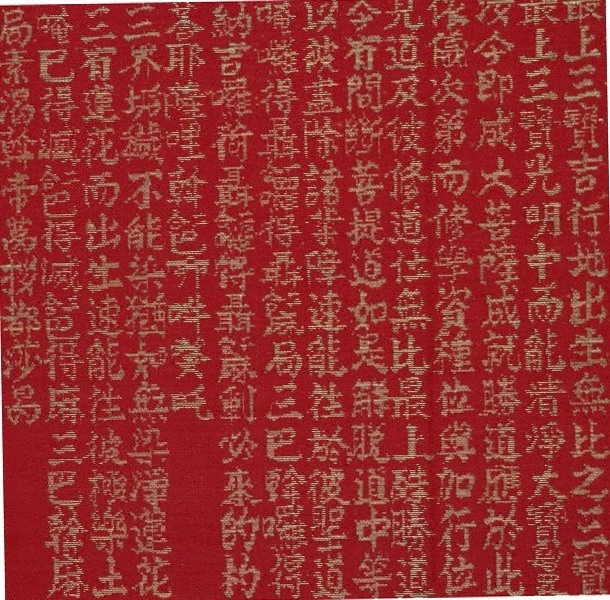 The texts are written in both Chinese and Sanskrit characters, woven in gold into the red brocade. 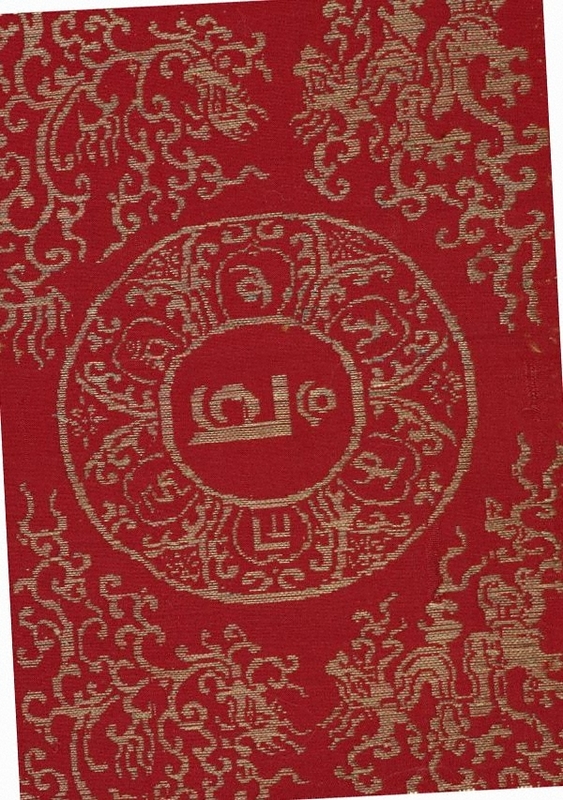 'Dharani' are ritual formulae invoked for spiritual benefits; according to Buddhist belief, such textual invocations would protect the deceased against evils, in this life and the next. 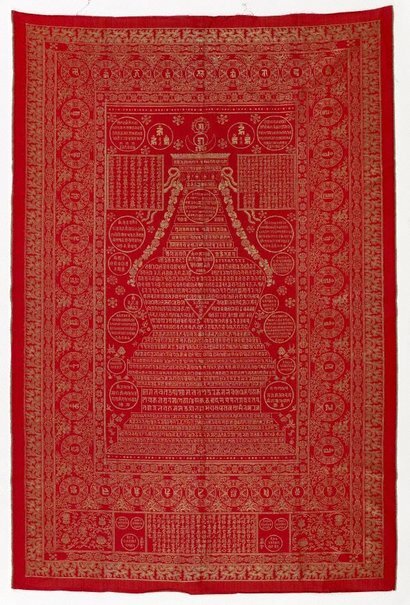 This particular type of quilt is rare, since it was used only for the coffins of Qing emperors, empresses dowager, empresses and concubines of the upper rank. 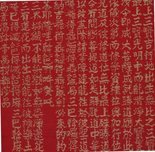 Wan Yi, Wang Shuqing, Lu Yanzhen, 'Daily life in the forbidden city', Viking Press, 1988. Asian Art Department, AGNSW, June 2009. Art Gallery of New South Wales annual report 2008–09 , Sydney, 2009, 27 (colour illus. ).